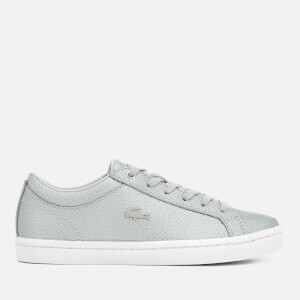 Women’s ‘L.12.12 117’ low top trainers from Lacoste. Crafted from lightweight textured canvas with leather accents, the shoes fasten with seven-eyelet lace up detailing and feature a minimalist tennis-inspired design. The signature green crocodile is embroidered at the rear and embossed branding features at the heel. The low tops are set upon a chunky rubber outsole for ultimate traction and durability. 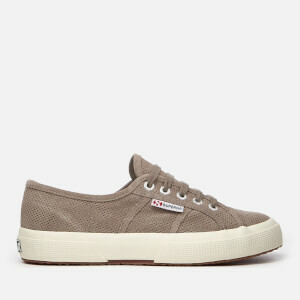 Upper: Pique Canvas/Leather. Sole: Rubber.